When you search for an escape where your only worries are whether sparkling ocean waves will reach your beach chair and what shells you're going to search for today, you'll find your captivating island paradise at Sanibel Beach Club II. Stroll the white sand beach in hopes of a dolphin encounter, watch crabs scatter beneath your feet and revel in sunshine infused warm breezes. An escape to Sanibel Island creates life in a simpler time with bike paths and complimentary bicycle use, swimming, shelling, kayaking, fishing, surfing, boating, windsurfing and parasailing. Golf aficionados love challenging, scenic courses and tennis enthusiasts find excellent courts to play. 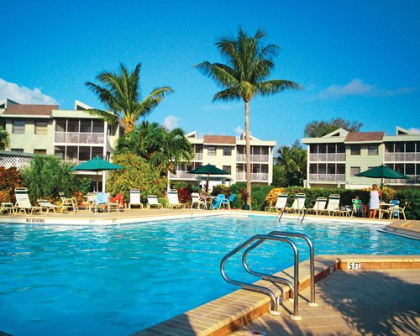 Your choice to buy Sanibel Beach Club II timeshare properties affords you these opportunities any time. 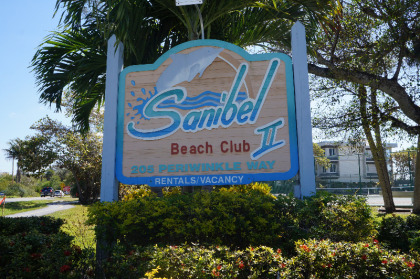 With your stay at Sanibel Beach Club II, you'll enjoy spacious two bedroom units with living and dining areas, flat screen TV's, well equipped kitchens, wireless Internet, elevators and pull out sofas for extra sleep space. Outdoors you'll find beach chairs, gas grills, a heated pool and pool house. After busy beach or sightseeing days dig into your choice of delectable restaurants. The Blue Coyote Supper Club, Shima Japanese Steakhouse & Sushi Bar, Blue Giraffe, Island Cow, Matzaluna, Doc Ford's Sanibel Bar and Grill, Cheeburger, Cheeburger and Pinnochio's ice cream are some delightful choices. Choosing to buy Sanibel Beach Club II timeshare properties lets you experience true seaside living any time. Thrill to nearby adventures like the Bailey Matthews National Shell Museum, J.N. Ding Darling National Wildlife Refuge and train rides at nearby Lakes Regional Park in Fort Myers. Adventure seekers will enjoy boat rides through the Everglades, just a couple of hours south of Sanibel Island. There is something for everyone to love in this seaside oasis. Contact Sanibel Beach Club II Specialist Today!